A gutsy organic Malbec with strong personality and style. Inky dark in colour, with blackberry-like aromas and a taste that combines delicate violet, blackcurrant, dark chocolate and aged balsamic. Full and rich in the mouth, with good weight, supple texture and pleasant minerality. It’s ideal for drinking with red meat, barbeques, spicy pasta or mature cheese. 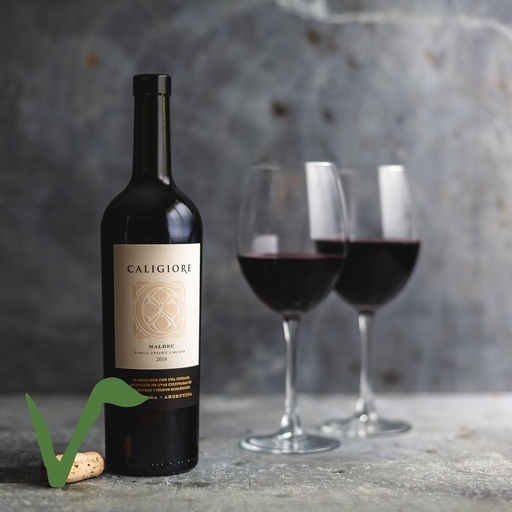 The Caligiore family has been working their 35-acre organic vineyard since 2000. The vineyards lie in Lujan de Cujo (Mendoza), below the Andes at a height of 900m and enjoy the ideal combination of hot sun by day and cooling breezes by night. His Malbec vines were planted back in 1930 and enable him to make a wine of real character - a previous vintage won drink of the year at the Soil Association awards.